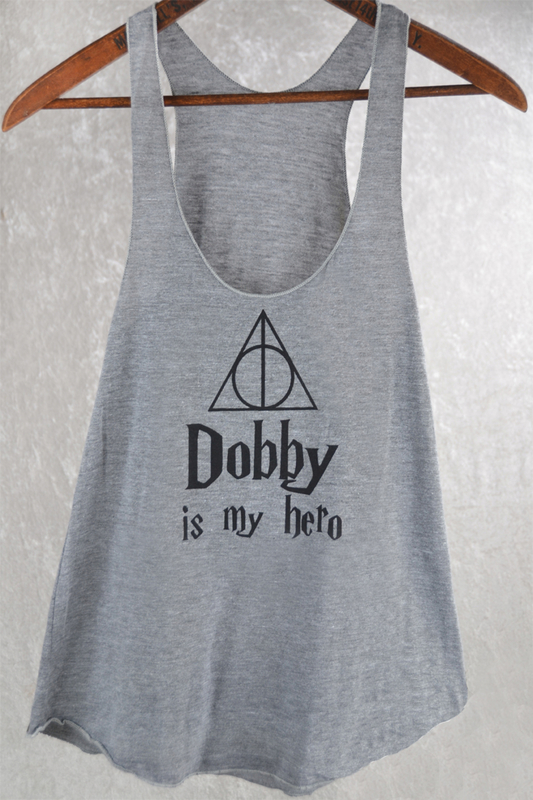 OUR ORIGINAL DESIGN Dobby Is My Hero Racerback Tank Top in Heather Grey with non-toxic black ink. Supersoft fabric is made of Tri-Blend construction (50Poly/25%Cot/25%Rayon). Dobby sacrificed his life to save Harry from the Death Eaters! 1st number is Width, side to side seam across bust. (Double this number for total bust measurement). 2nd number is the Length from the high point of shoulder to the bottom hem. We use eco-friendly, soft-hand, water-based inks. Hand silkscreening means that each garment may vary slightly.